Repairs & protects your dog's nose, paws & skin. 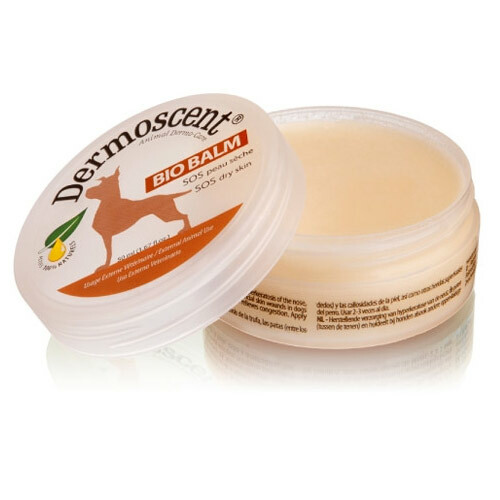 Deromscent Bio Balm hydrates your dog's skin using eco-certified ingredients. Designed specifically for dry skinned dogs, the balm nourishes and protects your dog's skin. It is great to use on calluses, particlularly those pressure point calluses at the elbow. You can also apply Bio Balm to superficial abrasions on your dog's skin or interdigital irritations on the paws. Bio Balm works wonders. In just days you can see a real difference. Application is easly. It's got a non greasy texture and it isn't soluable in water so it stays on where it belongs. 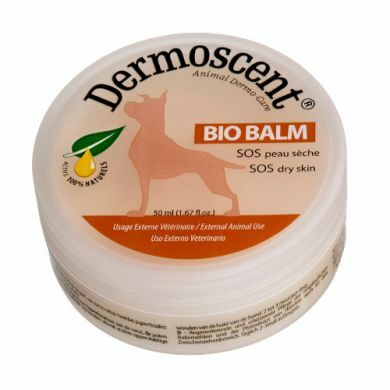 Read 2 customer reviews of Dermoscent Bio Balm. The average customer rating is 5. Very impressed with this bio balm. It is easy to apply and absorbs quickly. I have only used it a few times and have already noticed that my dog's paws are softer and not as dry anymore. The biobalm seems very good and I have already started applying it on his pawpads. Very easy to apply and it absorbed into the skin quickly without leaving any stickiness.